And suburbs have been growing. But so have cities. Commuters taking Chicago’s Blue Line, part of the city’s L rail system, may feel like they’re in high demand lately. On station platforms and train cars running northwest from downtown, riders have recently seen numerous ads asking millennials to make a move. 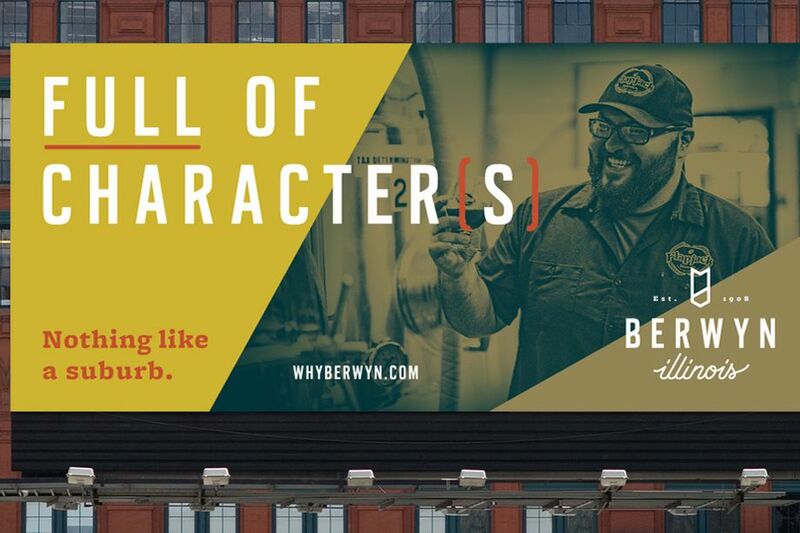 Berwyn, a suburb just west of Chicago, has tried to entice millennials to move into its charming brick bungalows with posters showcasing a potential new crop of artsy, tattooed neighbors and the tagline “full of character.” An ad blitz from the state of Wisconsin asks riders to trade their stifling city commute for a simpler, more affordable life in cities like Milwaukee. Why not swap rush hour traffic with a canoe trip in Madison’s Lake Mendota? Homewood, a south suburb, created a comic book campaign extolling the availability of farmers markets and kombucha. These subways ads—and other social media campaigns, like the blunter-than-he-sounds Iowa nice guy videos—all make the same point. Why waste money on an urban lifestyle in Chicago, when everything you want is cheaper over here? It’s a question these multi-million dollar ad campaigns, backed by local and state economic development agencies—and taxpayer dollars—want more and more Chicagoans to ask. “When we did the market analysis, we found concerns about the amount of time Chicagoans are commuting, losing time with family and friends, and the cost of living and spending so much on apartments,” says Tricia Braun, deputy secretary of the Wisconsin Economic Development Corporation, the state agency that funded the $1 million “It’s More You” ad campaign, which tried to tempt millennials via ads in train cars, gyms, bars, and on social media networks. These advertising campaigns showcase one aspect of how economic development agencies are selling and marketing cities, who fiercely compete for jobs, big businesses, and residents. Greg LeRoy, executive director of Good Jobs First, a Washington, D.C., policy center that promotes accountability in economic development, says the competition to land new headquarters and manufacturing plants costs states and cities $70 billion a year. While the billion-dollar subsidies and tax breaks that get tossed around to win prizes like Amazon’s second headquarters rightfully get the most attention, these incentives represent a fraction of what local economic development groups do, and overshadow what many believe should be their main focus, attracting and retaining a talented workforce. With half of the roughly 6,500 economic development agencies around the globe located in the United States, it can be hard for local groups to stand out. The main focus of these agencies, according to Jones-Kelley, should be workforce development. Part of that, as the organizers of the Berwyn and Wisconsin campaigns believe, is attracting, and being attractive, to the educated millennial workforce. Corporations are increasingly moving downtown to chase talent. While the tax breaks and incentives being floated by cities and states to land Amazon have gotten most of the headlines, the company’s initial request for proposals—filled with requirements for infrastructure, transit, and an educated workforce—underscore the importance of making a city competitive, and a place perceived as somewhere great to live. Attracting millennials, or pushing somewhat vague concepts such as fostering innovation and encouraging innovation, have become buzzwords. But in this rush to be perceived as desirable, can every city, especially smaller and mid-tier cities, replicate the success of somewhere like Pittsburgh, which had a critical mass of universities to incubate startups and create the next tech hotbed? The frenzy over Amazon, especially by long-shot candidates, points to the end result of this narrow definition of success: Every city seems to be selling similar message. 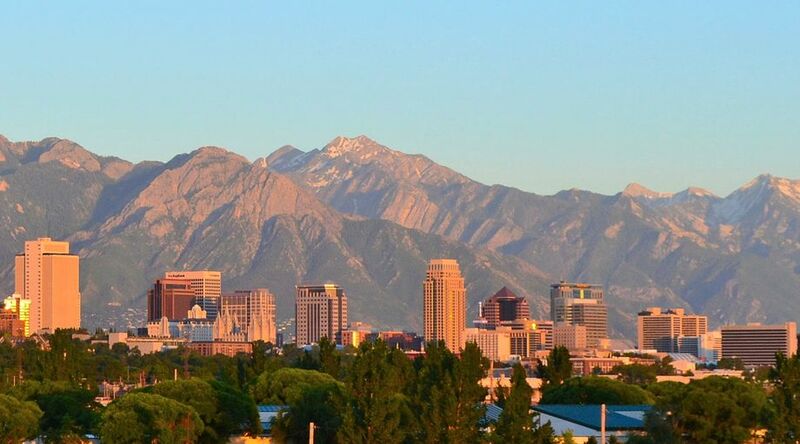 Salt Lake City and the state of Utah have done an exceptional job of building up a homegrown tech industry. Plenty of local economic development groups are doing good work, says Jones-Kelley, and who aren’t chasing undefined concepts like “smart city development” and instead building more broad-based prosperity. He says the groups that work spend significant time on the companies and industries that are already there: following up with new arrivals, helping established companies grow, and coordinating between local governments and institutions. “The ones that get this right are focusing on workforce talent development and creating a place this workforce wants to live,” he says. Jones-Kelley highlighted Columbus, Ohio, which has focused on building out its retail and commerce industries, as well as Salt Lake City and the state of Utah, which have done an exceptional job of building up a homegrown tech industry. And there are ways of attracting tech while recognizing your limitations. Baton Rouge, Louisiana, landed an IBM service center in 2015 by building an educational ecosystem around the site, working with local educational institutions to tailor programs to produce graduates trained to fill roles at the new site. The Amazon HQ2 selection process plays into the worst instincts of both the press and politicians. The Amazon HQ2 selection process plays into the worst instincts of both the press and politicians, says Finkle. Media covers the contest like a horse race, mirroring political coverage. Politicians, who are looking at the next election, and tangible results that can fit into an election cycle, love landing huge deals and trumping them to constituents, without thinking about the long term costs. With states offering billions in deals, there’s no way they’ll make back the investment in direct ROI. It’s a pure prestige play, according to Jones-Kelley, and indicative of recent trends. Finkle feels Amazon will have a mixed impact on the economic development community. It’ll hurt because so many cities will be losers, having spent time and money pitching the retail giant. 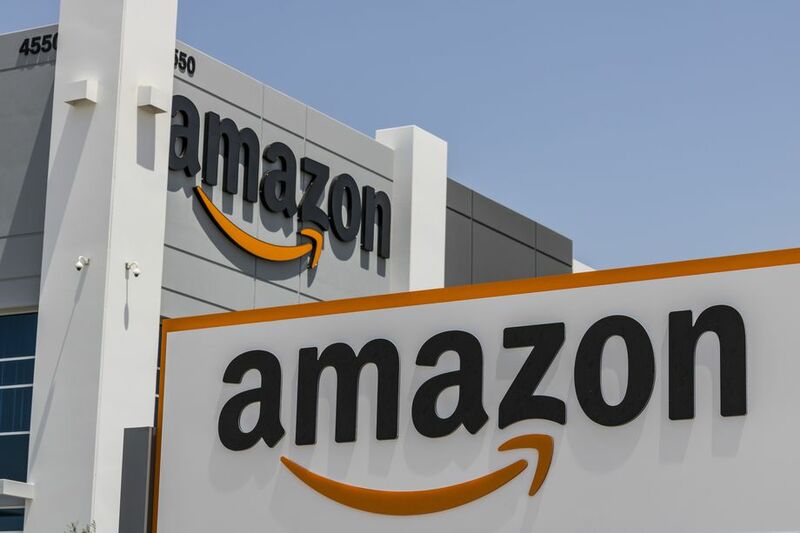 In light of Amazon and other big-ticket corporate relocations, the work of Berwyn, and even Wisconsin, may seem too small scale. What’s the real return on city boosterism and marketing to millennials, and would that money be better spent on education, inclusive development, and transit? But the organizers feel, if the battle between cities is over talent, these are the right ways to grow. These are efforts that come alongside other investments in the local economy. Braun says that the Wisconsin program leverages the power and purse of state government to help create a platform that local governments, from Milwaukee to Green Bay, can tap into to attract workers and new companies. The program was recently awarded $6.8 million to expand to other Midwestern cities, as well as to target military veterans and alumni of Wisconsin’s state universities. It’s also a targeted response to the state’s need for more highly educated workers. The University of Wisconsin system already retains 85 percent of its graduates, so unlike many states with a brain drain, Wisconsin needs to find a way to import workers. Since more than 100,000 people moved from Illinois to Wisconsin between 2006 and 2016, according to WEDC data, Chicago seemed like a target-rich environment. The Berwyn campaign, which launched in 2007, pushes its affordable housing stock and transit connections to Chicago to “get on the map,” according to Amy Crowther, deputy executive director of the Berwyn Development Corporation. Since Berwyn launched the marketing campaign in 2007, local leaders have been measuring key metrics, such as population stability, median income growth, and property value (average home prices rose 8.4 percent last year to a still-affordable $200,500). Berwyn’s median income growth was the largest of any city in Cook County, outpacing Chicago and nearby Oak Park. Annual residential investment has also been a big sign of success. There’s been a 76 percent growth between 2007 and 2017, with $25.5 million invested in residential properties last year. Perhaps the biggest sign of progress is that Berwyn’s economic development success in selling its own story has become part of the campaign. The new tagline, “Full of characters, and hand-crafted community,” features photos of new arrivals, the types of entrepreneurs the program’s been targeting for the past decade.